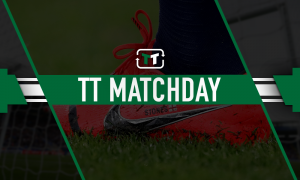 Pellegrini rebuild would hit new level if West Ham were to raid Juventus this summer | The Transfer Tavern | News, breakdown and analysis on all things football! West Ham have been one of the busiest clubs in England during the summer transfer window. 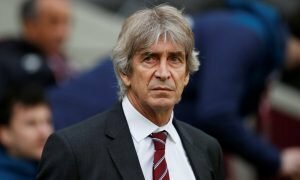 Eager to put last season’s disappointment behind them, the Hammers board have allowed new boss Manuel Pellegrini to splash the cash in the transfer market. The Chilean has wasted no time in bolstering his ranks, landing six new permanent signings. The latest was a club-record deal for Lazio winger – Felipe Anderson. Their summer business shows no signs of slowing down. Pellegrini strengthened his defence with the signing of Issa Diop for £22.5m. If the former Manchester City boss signed another centre-back, they would have a squad capable of challenging for Europe. The perfect addition could be Juventus defender – Medhi Benatia. Valued at £20.7m by Transfermarkt, Benatia has been a key player for the Old Lady since joining from Bayern Munich in 2016. The Moroccan international could be set to leave, according to reports, if Juventus manage to lure Matthijs de Ligt from Ajax. West Ham should be first in line for his signature. The 31-year-old has plenty of experience playing at the highest level and would significantly improve the Hammers defence. His knowledge could be crucial to help Diop settle into the back four and adapt to life in the Premier League. Benatia’s physical approach to defending means he would have no issues with life in England. If West Ham landed the former Roma man, they would definitely challenge for Europe.